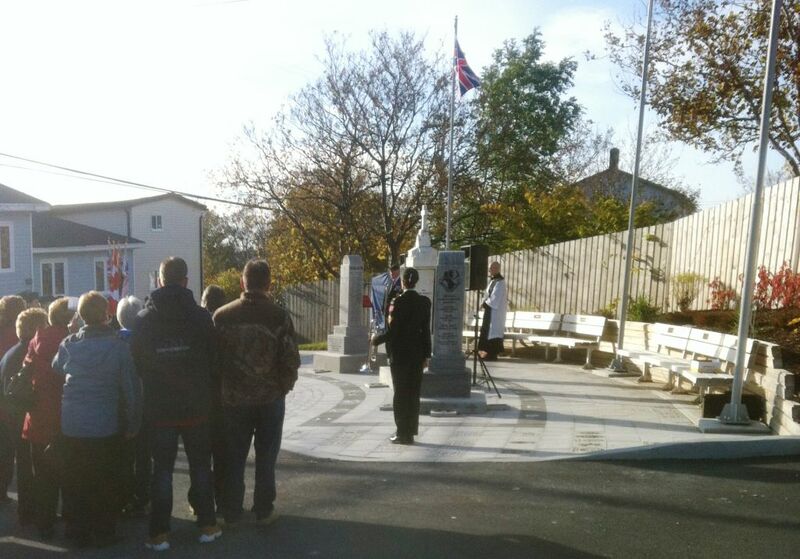 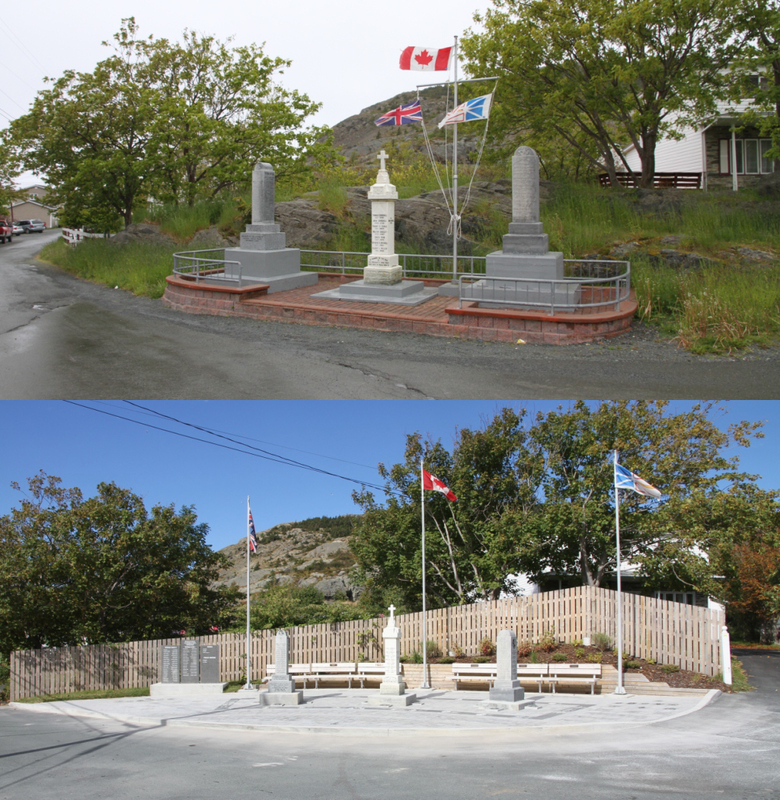 The War Memorial on Hardings Hill Road in Portugal Cove was refurbished over 2014-15 on behalf of the Royal Canadian Legion NL Branch 10 and the Town of Portugal Cove - St. Philip's. 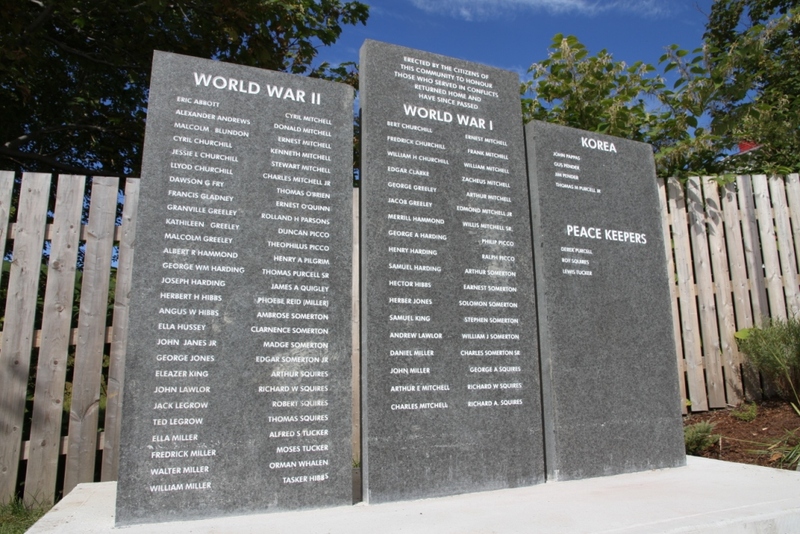 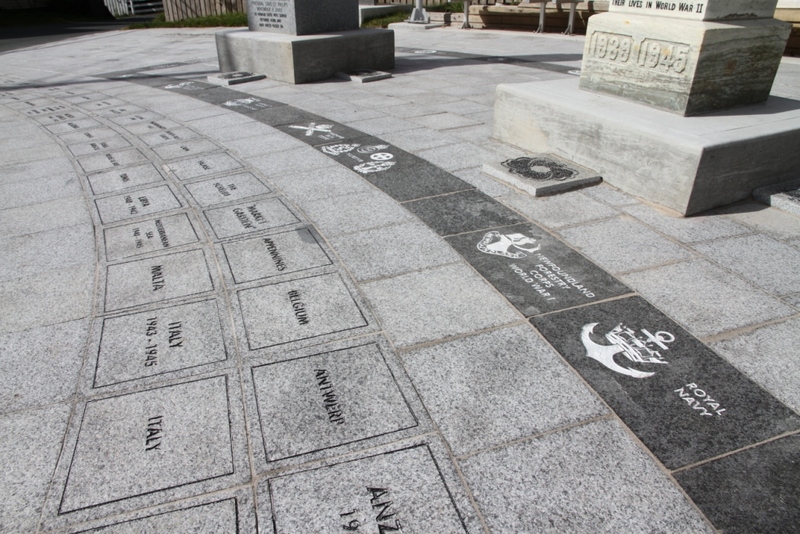 The site was expanded for memorial services and new engraved monuments and pavers were designed and installed. 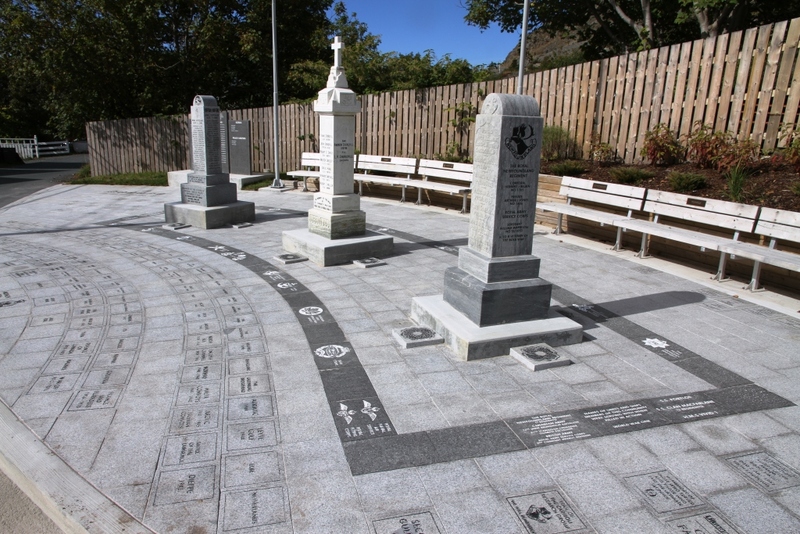 Engravings acknowledge the units and ships of community members and the campaigns they took part in. 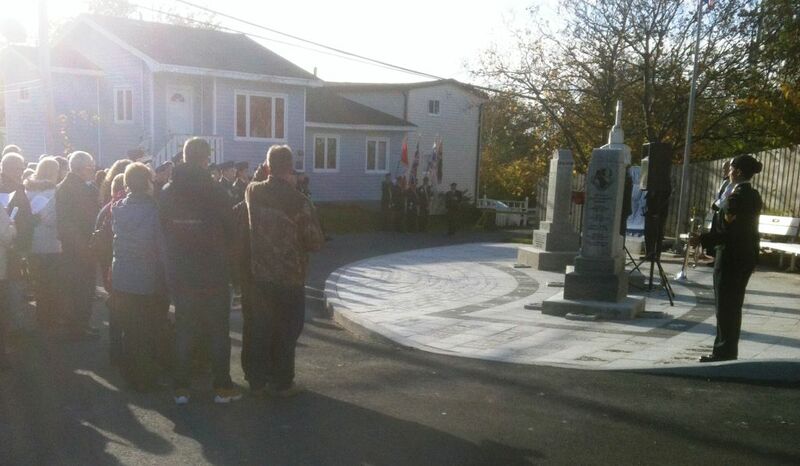 Visit www.legion.ca to find Remembrance ceremonies and campaigns.